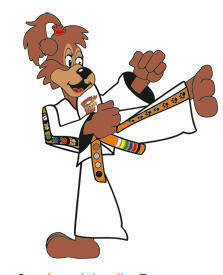 We are very excited to announce the introduction of a new programme called TKD Kubz, for 5-7 year olds. The programme was developed by Master Mark Hutton from Scotland, and focuses on pre-schoolers. It combines safe and exciting Taekwon-Do skills with fun drills and games that inspire great behaviour. It emphasises the benefits of great communication skills, which reduces the child’s frustration, and increases the child’s confidence and self-esteem. Courtesy, Integrity, Perseverance, Self-Control and Indomitable spirit are all employed to inspire our kids, just as Taekwon-Do has been inspiring people of all ages for over 50 years. • Child protection against adults, known and unknown. • Dealing with aggressive children and bullying, verbal and non-verbal. • The benefits of working together and the fun of sharing. 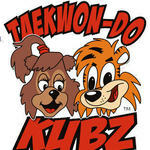 Like to enrol your child in TKD Kubz?